We nearly pulled the plug just after arriving at site, after finding we were down to half complement due to illness, car failures and family holidays. Nevertheless, we decided to push on but set-up took significantly longer with only 3 people. 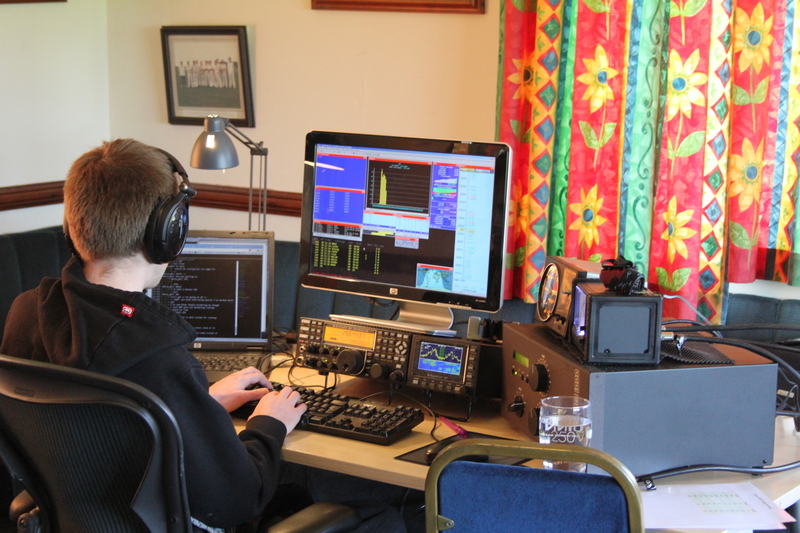 Given the extended set-up time and lack of our usual night-time ops, we decided not to put up the 80m vertical, but to focus on the high bands as long as they were open, then 40m in darkness. It was a good thing we did we press on, the high bands were in superb shape despite several large solar flares during the contest. Sunday seemed to be better than Saturday. Had some great runs into the US and JA on 15m, and got called by AH0 and ZL. 10m was a little tougher with not the anticipated number of JAs but was still good, with a great run into the US late on Sun. This was the first outing for our mobile tower and Spiderbeam together, using an NN4ZZ hexlock. We exceeded our score from last year despite the team only being at half capacity and with no operation in the early hours. 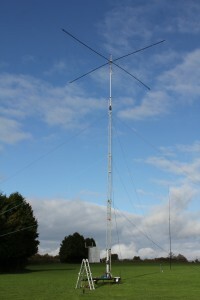 The antennas at G9V, 5-band Spiderbeam on the tower and the 40m vertical behind it. Steve M0SPF at the helm.